Talking about essential products for human use around the world, Petroleum Jelly cannot be left out. Its many uses are numerous. Petroleum jelly is a semi-solid mixture of hydrocarbons originally promoted as a topical ointment for its healing properties. It is colorless or has a pale yellow color (when not highly distilled), translucent , and devoid of taste and smell when pure. It does not oxidize on exposure to the air and is not readily acted on by chemical reagents. It is insoluble in water. It is soluble in dichloromethane, chloroform, benzene, diethyl ether, carbon disulfide and oil of turpentine. It is hugely versatile and it is used all over the world for many purposes. When we talk about petroleum jelly, it usually refers to skin jelly products. The people of all ages benefit from petroleum jelly since many years. In skin and healthcare sector, it is one of the most demanded products across the world. The processing and handling of the petroleum jelly makes it suitable for medicinal and personal-care applications. Production processes, Coating, finishing, lubrication, explosives, surface cleansing, mechanical, barrier functions. 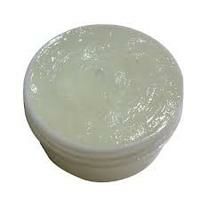 Petroleum jelly is exportable from Nigeria to other countries with high return on investment. The wide demand of petroleum jelly round the world, especially because of its medicinal benefits makes the demand for the product high. The largest market in the world for petroleum jelly products is Europe. United States stands as the most importing country of petroleum jelly products in the world. The demand for petroleum jelly in USA has increased by 6% in terms of quantity between 2012 and 2017. As per the petroleum jelly trade statistics, it is recorded that exports stood at USD 1150 million and imports stood at USD 1384 million during 2016. We at The Thy Global, provide import/export data of products including the names of buyers, suppliers, price of product in global market, quantity traded and other shipment details. Contact us for more. detail.